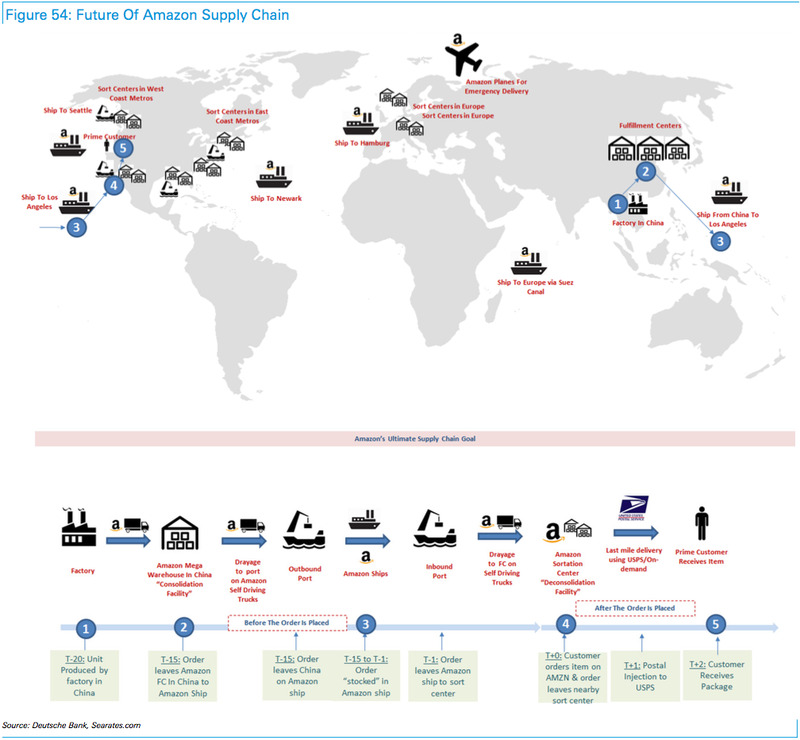 How much of its supply chain will Amazon control in the future? 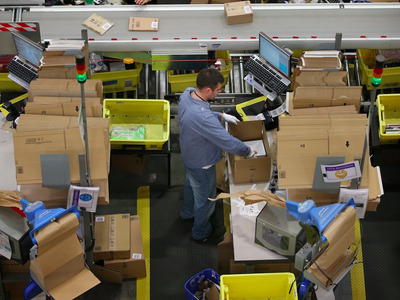 In an epic note published Wednesday, analysts at Deutsche Bank examine, among other things, the potential that lies in Amazon’s growing supply chain control. 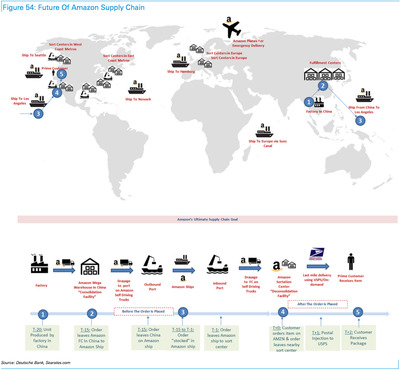 Deutsche Bank outlines what it calls a “blue-sky” scenario in which Amazon could reverse the entire logistics footprint it has built so far, opting to go deeper down the chain on the sourcing side. Which is a way to say the company could get control of products nearly to the factory floor level in Asia. 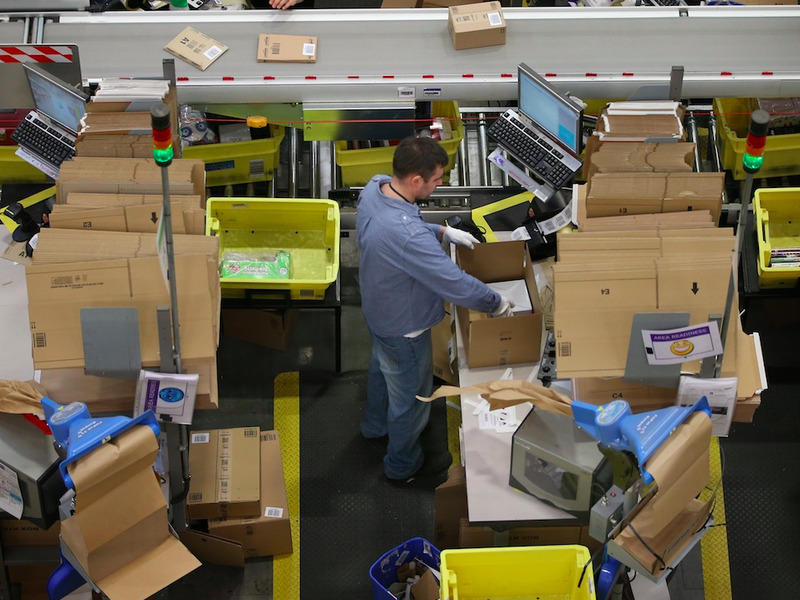 Deutsche Bank adds that this new chain could increase private label opportunities for Amazon and greatly reduce the amount of time products spend in the company’s supply chain.